LAHORE: (Wednesday, August 8, 2018): Punjab University students have participated in various co-curricular activities organized by different institutes and shown outstanding performances and clinched prominent positions. 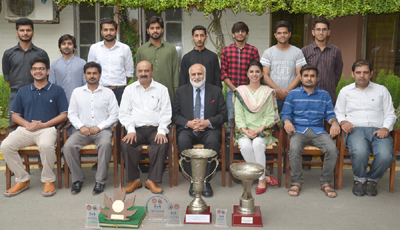 In Urdu Parliamentary Debate held at Rawalpindi Medical University the students Rashid Tashfeen, Umair Hassan and Muhammad Faizan clinched team trophy. Rashid Tashfeen obtained best Urdu speaker award and Muhammad Ali grabbed best English speaker award while Syed Najam ul Hassan got Adjudicator award. In first all Pakistan declamation contest 2018 organized by Azad Jammu & Kashmir Medical College Mazaffarabad the students including Ismail Sherwani and Yasir Waseem clinched first position in English and Urdu debates respectively and team trophy. In Nestle nesfruta fankaar dance competition 2018 at Karachi a student Shahid Ahmad Ali got 4th position. Similarly in Harf-e-Akhir All Pakistan Bilingual Declamation Competition organized by CMH Medical College Lahore the students Ismail Sherwani and Yasir Waseem obtained first position in English and Urdu debates respectively and team trophy. 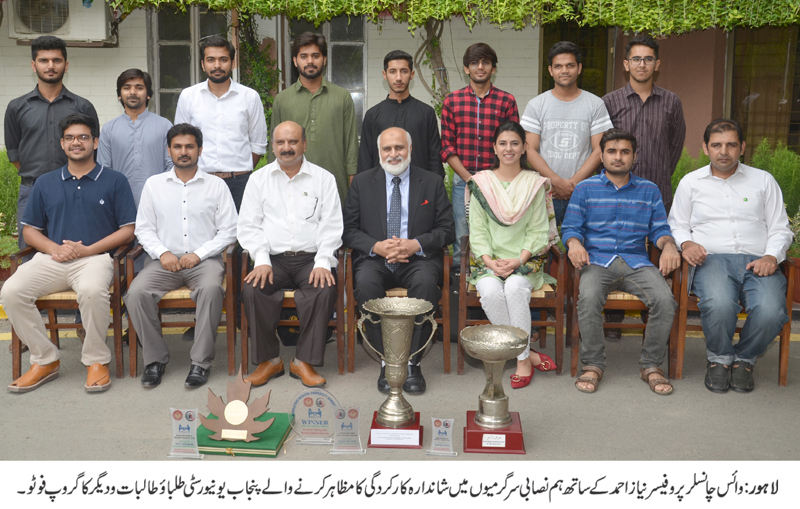 The students called on Punjab University Vice Chancellor Prof Niaz Ahmad at his office. The VC has congratulated them on their achievement.